We Combine Innovative Technologies And Advanced Formulations To Bring You The Best Teat Dips On The Market. 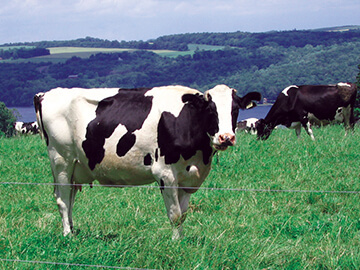 A Great Choice For Farms With High Iodine In Milk. Peroxifence is a unique, Peroxide and Lactic Acid based teat dip that provides fast, broad spectrum germicidal activity both pre and post milking. Non-irritating formula helps teat conditioning. Gentle on teats and hands. Peroxifence defends against and attacks mastitis-causing bacteria – helping to protect your productivity and profit, and is formulated with safer alternatives to Nonylphenol Ethoxylates (NPEs). When you choose London Dairy Supply teat dips you are using one of the most advanced teat dip products on the market. Gentle on teats and hands.